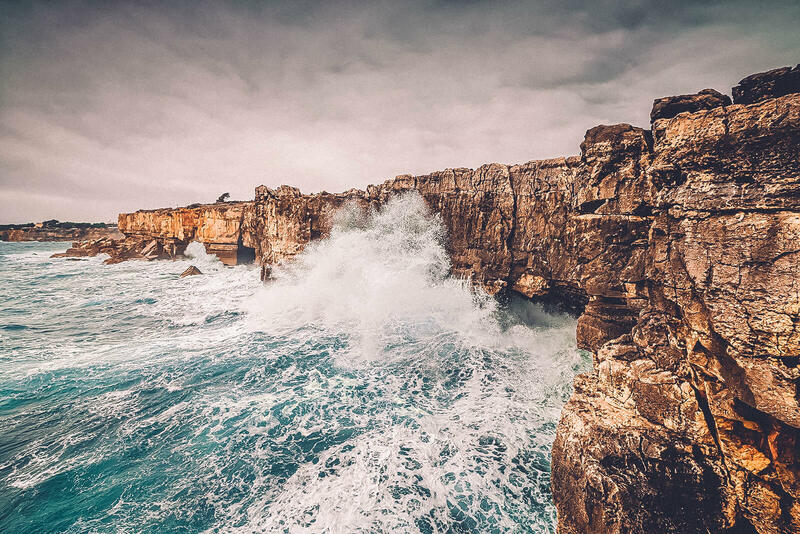 Portugal is one incredible place. A combination of the best parts of Southern Italy and Spain, combined into one beautiful country full of spirit, passion, food, and scenery. This is one of the most asked about spots in my travel and seems to be a very popular place as people start discovering the magic of Portugal. If it’s your first time I recommend visiting two main cities and spending about 3-4 days in each. Those are Lisbon and Lagos, two different towns but both on the ocean. Caiscais and Sintra happen to be two other suburbs/cities that are right next to Lisbon so they’re worth visiting for a day while you’re in Lisbon and are extremely close. Lagos: This is the seaside village with the quaint atmosphere, cobblestone streets, and incredible gastronomic restaurants. 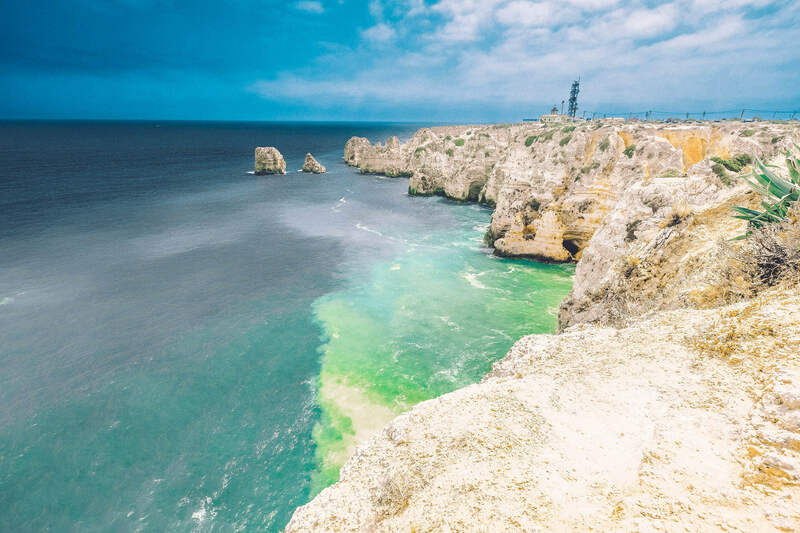 It’s most known for its beautiful limestone bluffs which seem to consist of a multitude of colors, along with its deep blue and green beaches where you can spot the ocean bottom. The best way to discover Lagos is just to wander. This is essentially true of most of Portugal, but here time stands still and days are best spent having grilled seafood by the water, hanging out at the beach, and finishing the day with some wine and dinner in the city. Lagos is serviced by easily accessible trains that take you to Lisbon so everyone should check out this unique village and seaside town. When you’re here do NOT miss out on the croissants. It’s an odd suggestion but for some reason this town is known for them and one place in particular named “Croissanteria 29” is probably the best. 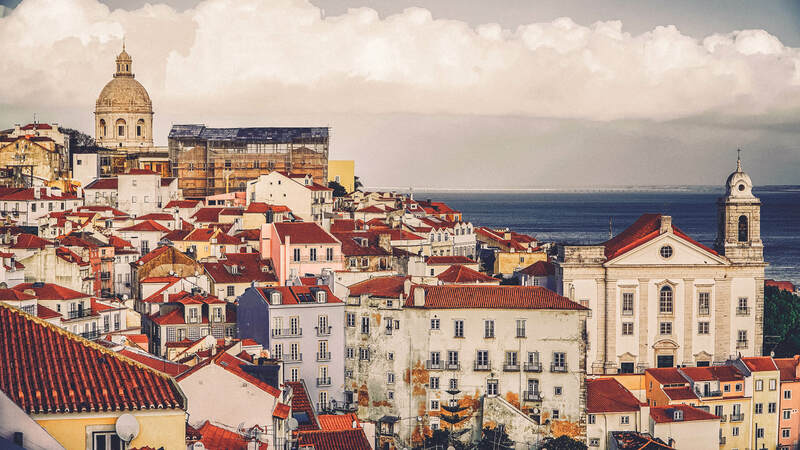 Lisbon: Lisbon is a metropolis, but its certainly walkable. The most well known part of it is the old Jewish quarter called Alfama, with roots all the way back to the 11th century. There’s a LOT to take in here, but my suggestion is to hire one of the tuk-tuk drivers for a small fee and have them drive you around town in an open air vehicle to see all the sights, and then spend the rest of the day getting lost in the Alfama district. Port Wine and Ginginha are the most well known drinks and they take food seriously in this city so chances are you won’t find anything that isn’t delicious but be sure to wash it down with the port and Ginginha to get the full Lisbon experience. Sintra: The Palatial territory of Sintra is less than 10 miles from Lisbon, and once again looks like a completely different place. With an exceptionally mountainous regious, fern covered forests, exotic gardens, it is a UNESCO heritage site and home to some of the most beautiful Moorish and Roman compounds- palaces set high up on the hills. You’ll feel at awe at the dynamic terrain and the architecture. You could easily spend an entire day just exploring the different mountain peaks and palaces here. Remember to bring warm clothing because it gets cold out here up in the mountains even in the middle of summer. 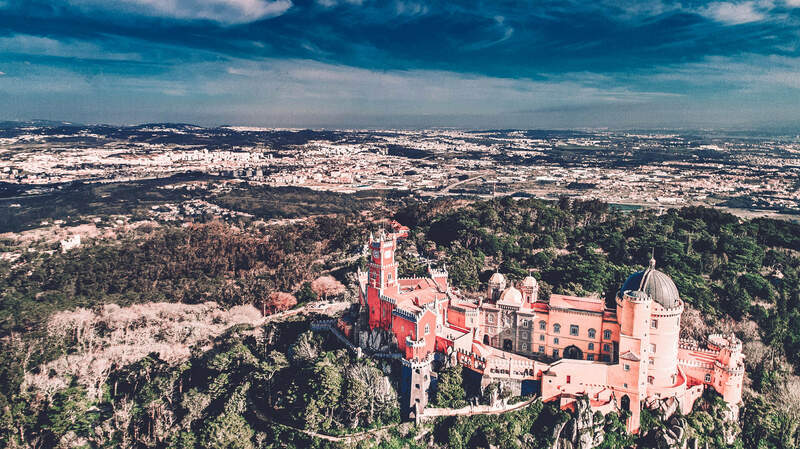 Pena National Palace is probably the most well known site to visit here, but get there early because it can get very packed with tourists.